A Trial Without the Defendant? 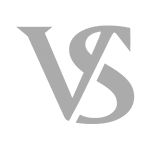 : Meyer Van Severen, S.C.
How can a criminal trial proceed without the defendant present? A recent high profile case in Milwaukee where the defendant’s trial continued without him makes you wonder how there can be a trial without a defendant. While uncommon, this is not unheard of. (h) At any other proceeding when ordered by the court. In a misdemeanor proceeding, the defendant can authorize his or her attorney to act on his or her behalf, with permission of the court. Note that in Milwaukee County, these “authorizations” are rarely accepted and defendants are required to attend every proceeding regardless of whether it’s a felony or misdemeanor. In other surrounding counties, such as Ozaukee County and Washington County, these authorizations are accepted. Many northern Wisconsin counties, such as Brown County and Shawano County, also accept the authorizations. Check with your criminal defense attorney to see whether you can authorize him to appear and act on your behalf. So if the statute requires a defendant to be present at the proceedings listed above, and especially at the defendant’s trial, how can a trial continue without the defendant’s presence? Subsection 3 states that if the defendant voluntarily absents himself or herself from the presence of the court without the court’s permission, the trial shall not be postponed or delayed. The trial shall proceed as if the defendant were present in court at all times. Milwaukee man prosecuted at jury trial without being physically present. Dwayne Chaney was charged in connection with a 2015 homicide in Milwaukee. He demanded a speedy trial. When the state was not prepared to proceed on his scheduled trial date, the judge had to release him on a signature bond. The proceedings eventually began on October 16, 2017. But he cut off his GPS bracelet and never showed up for trial on October 18, 2017. The judge in his case ruled that he voluntarily absented himself from the proceeding without the permission of the court, and the case continued. Chaney’s defense team was forced to continue with his representation even though Chaney was not present. Ultimately, the jury convicted Chaney of the homicide. The Wisconsin Supreme Court recently addressed the issue of defendant’s absenting themselves from trial. The facts, however, were a little different than the Chaney case. In State v. Michael Washington, Washington refused to participate in any portion of the trial, including voir dire. Washington argued that the statute did not allow the case to proceed without him because the trial had not begun. And since he was not present for the beginning of the trial, then the trial was invalid and his conviction must be overturned. The Supreme Court disagreed and determined that the statute only applies to situations where the defendant forfeit his right to be present. The Court held that Washington waived his right to be present. There was no formal colloquy with Washington about his decision to waive his right to be present, but the Court said that his behavior and refusal to return to the court room constituted a knowing and voluntary waiver. Other court cases have dealt with the issue of defendants not being present for essential hearings. State v. Koopmans stated that the defendant must be present for his sentencing hearing. The right to be present for a sentencing hearing may not be waived. Subsequent cases have held that a defendant can waive his right to be physically present for a plea and sentencing hearing. Accordingly, a defendant may appear via videoconferencing. This satisfies the law. The court must, however, conduct a colloquy with the defendant and also ensure that the defendant can see and hear all of the parties to the proceeding. As always, if you have any questions about criminal law or the rights of the accused, contact one of our criminal defense attorneys today!